The entrance to Derrynane, County Kerry, ancestral home to Daniel O’Connell. 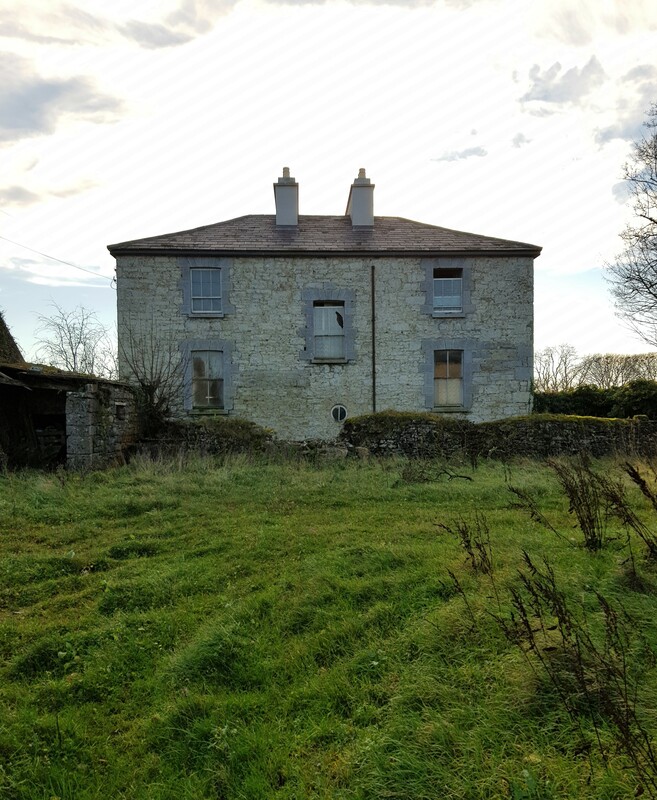 It is interesting to read in Emer Crooke’s recently-published book on how country houses fared during the first decades after Independence* that when O’Connell’s descendants first offered the property to the state in 1945, this was declined. A letter from the Department of Finance written in October of that year argued that ‘in view of the uncertainty as to the purchase price, the capital expenditure involved in putting the house to rights and the large recurring expenditure entailed in maintenance the minister does not favour state acquisition.’ Responsibility for Derrynane was shortly after taken on by a private trust but it soon ran into difficulty and began appealing to the government for funds. 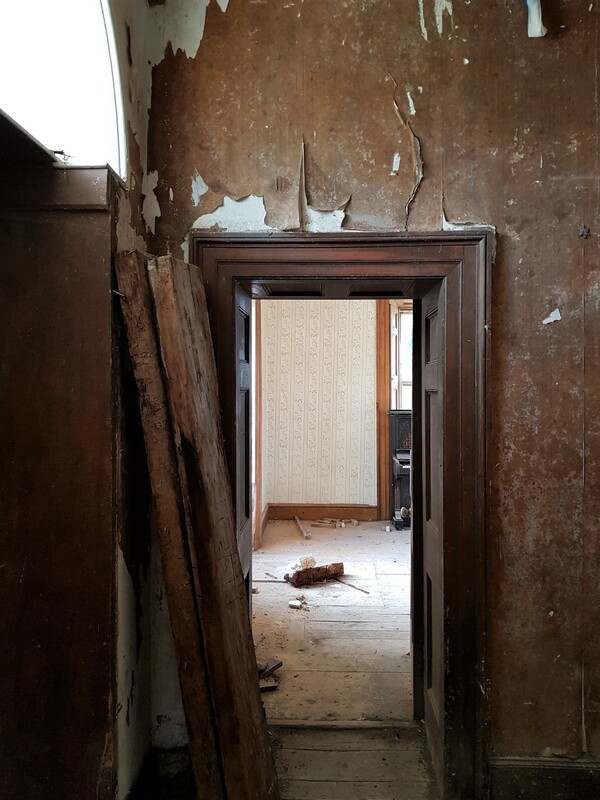 When these were not forthcoming, the house was placed on the market but in 1963, after no buyer had been found, the state took on Derrynane which has ever since been managed by the Office of Public Works. One of James Gandon’s designs for the façade of Emo Court, County Laois. 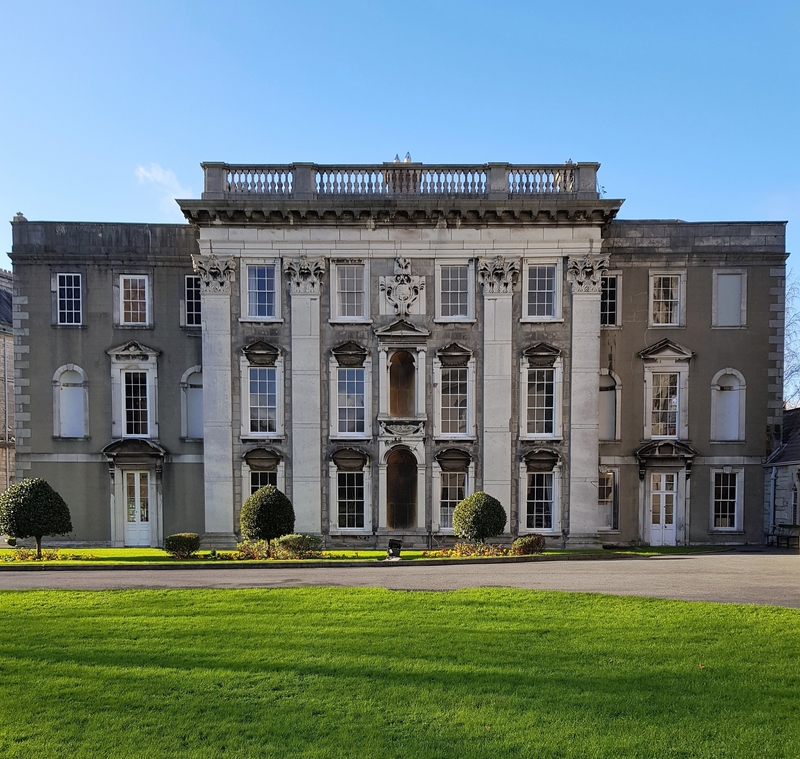 In the 1780s the architect was employed by enlightened patron John Dawson, first Earl of Portarlington to come up with plans for a new house on his country estate. This is one of Gandon’s proposals, and interesting to compare with Emo Court as eventually built. 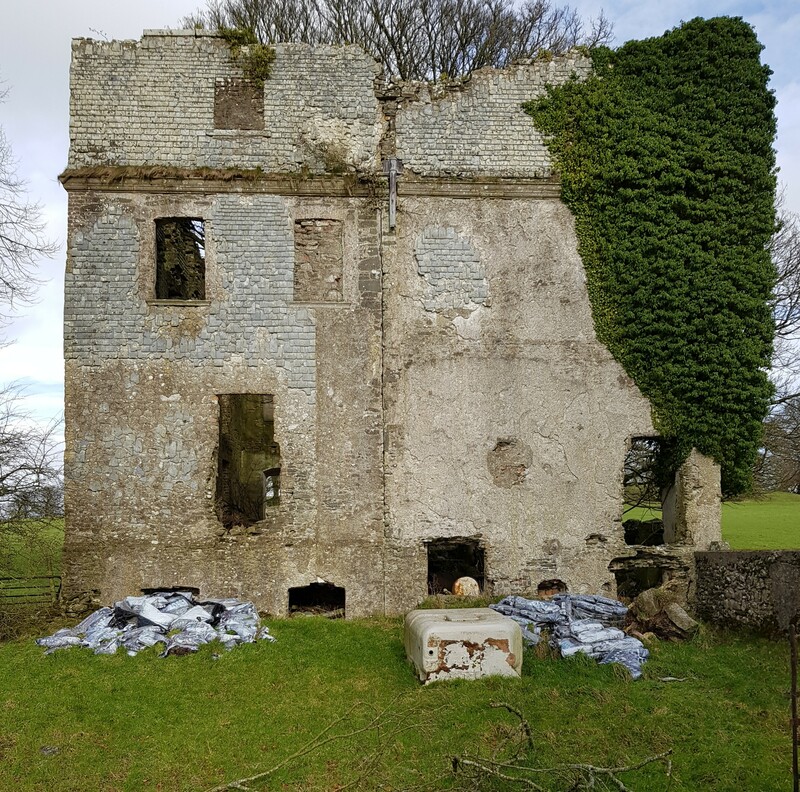 The process was devilled with setbacks, beginning with the Lord Portarlington’s unexpected death in 1798, by which time only the shell of the house had been constructed. It took more than sixty years, and the involvement of a number of other architects, before work on the building was finally completed. As a result and reflecting changes in taste, various alterations, external and internal, were made to the original scheme. Many of Gandon’s original drawings, plus those of his successors, are currently on display in the Irish Architectural Archive, 45 Merrion Square, Dublin. Below is one of the Gandon proposals for the garden front, and a photograph of the same prospect today.